You can get by with just a website in the past; nowadays, not anymore. You will also need a blog. That may sound very basic, but there are businesses out there whose “website” is Facebook or Yelp. And others have a website that they shelled out thousands of dollars for, but it does not have a blog. A website is not a blog; a blog is not a website. That’s one thing I told a small business owner who has great stories to tell about the services they provide. In this article, I interviewed Jay Moyano, a small business owner whose team serves companies in Europe, Asia, and the North America. A website and a blog are like two sides of the same coin when tackling internet marketing. The article will address one side of the coin first, the website; then the blog. Any business should not only have a website but should have a ‘professional-looking’ website. 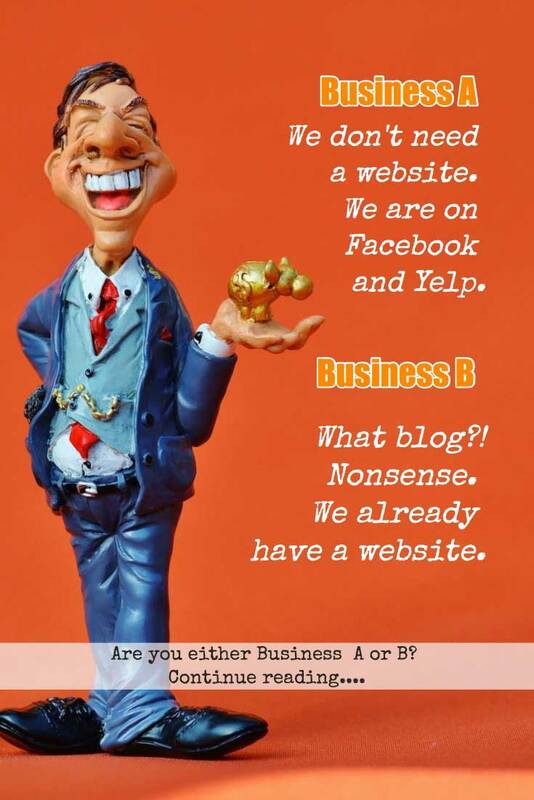 A business website is not an expense. It is an investment. It’s the new way of broadcasting your business and products far cheaper than TV and radio ads. Having a website is ideal for any kind and size of companies. Having a website for your business will uplift your reputation and will help you gain credibility. When a customer wants to know your business, it’s a convenient way to search your website over the internet rather than calling you with a bunch of questions. Most businesses nowadays are supported with professional websites to deliver more detailed information about their products and company info. You can answer your clients’ queries at any time and can put all the information, promotion, ads, and marketing up on your website for the people to see. Professionally done websites can now cater online payments, orders, deliveries, knowledge-based systems, etc. which can help you do the job while you are away. It is ideal for small business to have a website. For the people to reach them, a website is an excellent tool for communication and updates. Lastly, having a website will keep your customers informed. Aside from keeping them tuned to your site for news and updates, you can notify each of them by using an email list. It’s like delivering them newspaper of your company on their doors. Business should carefully plan a domain name but needs to be creative to catch the attention of other people. It’s not necessary to make the domain name identical to your business name. For example, if you are a car dealer with a business name “Car Dealer Iowa, Inc.”, it’s ideal to have a domain name like “HotDealsonWheels.com” to be more catchy and unique. If you only have a blog, you need a basic plan with low bandwidth and web space. You don’t need high requirements of hosting which will save you money. If you are planning for a bigger website like eCommerce and expect more people to order online, you need larger web space, bandwidth and hosting security. If your site is a portfolio type with a bunch of images and videos, you need bigger specs of hosting and so on. Website platform should also be carefully planned for future maintenance and operation. Static websites are obsolete nowadays since it’s hard to maintain and hard to update. There are a lot of reliable platforms out there. You need to decide the platform that you are going to use that should be future-proof. Many business sites nowadays are built in WordPress since this platform is very flexible. WordPress is designed for computer-savvy individuals and programmers. Computer-savvy in the sense that they can use pre-made templates. Programmers within the meaning that they can customize a website for the exact requirements the business prefers, from specific designs to features. WordPress is an ideal platform for small to big sites, even the ones needing eCommerce. But if a site needs to work as a very highly dedicated and sophisticated online shopping portal with all the marketing and accounting features aspired, Magento is preferable. However, Magento can’t be customized from scratch. Website design is one of the vital parts of setting up a website. With careful and firm planning on this, it ensures a smooth setup. A website design is like a blueprint of an architect and engineer before they build a house. You plan before you start any website. When a design is done, that’s the time you can decide on which platform to use, what hosting to get and what features are possible or not. This is crucial when planning a website design. A website design should be finalized thoroughly before starting any work on the project. If a project has begun and the plan needs to change in the middle of the way, everything would go back to zero which could lead to the delay of the setup. When you build a house, you don’t want to change the number of concrete posts when you know that the roof is already in place, would you? Now, the other side of the coin, your blog…. The website is enough, right? Every business owner has a story tell. That’s why they are doing business. 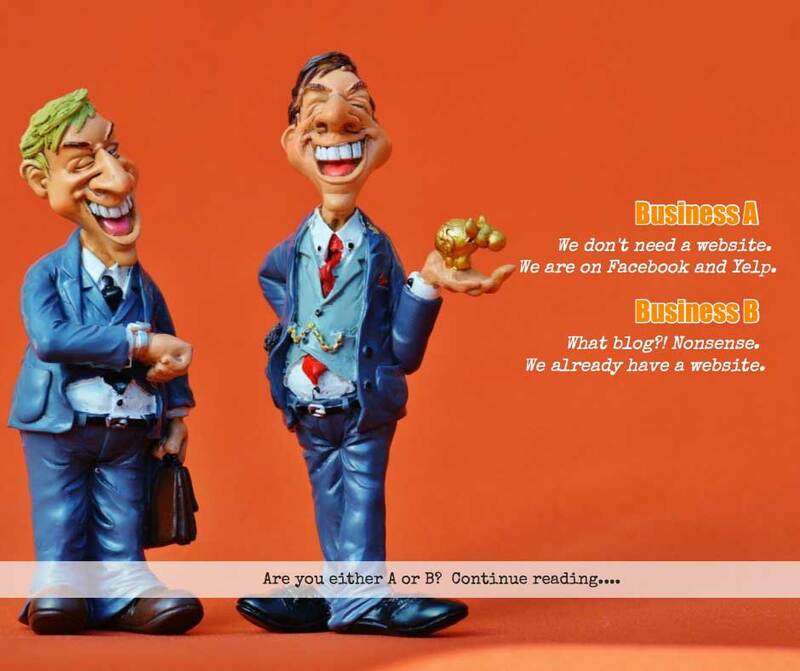 The business blog is one convenient and perfect platform to share that story. It’s like a magazine about the company. Most businesses like to have a business blog setup on their website/s. However, their most common mistake is not maintaining it which leads to disappointments to their website visitors and even loses the credibility of the site. Having a business blog is like having a news feed, companies need to ‘feed in’ what’s the latest on their company, as much as possible everyday or should often be in a week. Write helpful business blog articles and trivia about their businesses. The misconception of a blog to most businesses is having just a couple of articles should be sufficient. A business blog should grow as a newspaper or as an archive of stories. For some, it is a sign of how knowledgeable you are with what you are doing. Of course, Google loves it when a site has fresh contents. The more the new contents, the more often Google visits you. A business blog is designed to interact with your customers on topics relevant to your company’s products, events, and updates. Enable comments or setup forum. That way, you can address your customer’s needs and suggestions to improve your business as well. Your business website is where you show your wares or what you are selling. 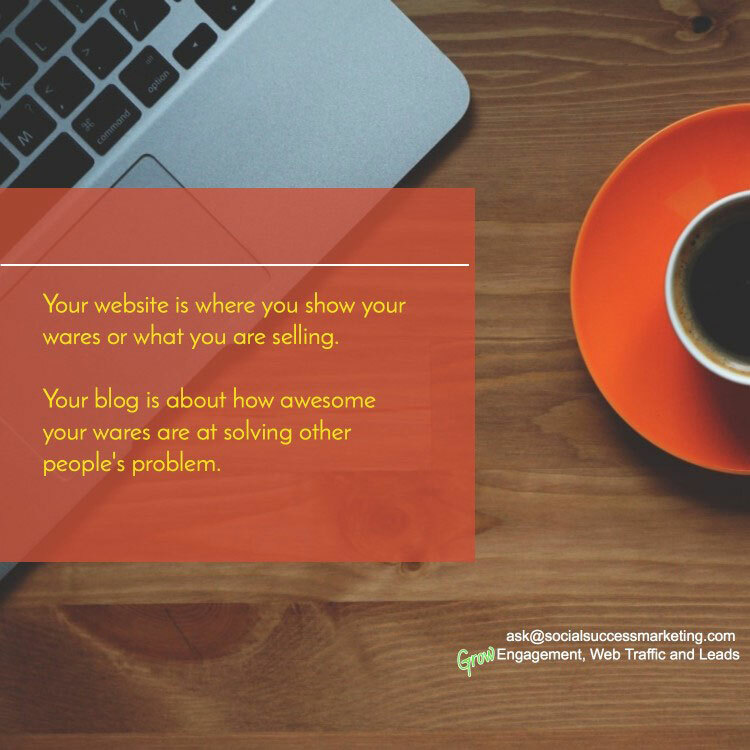 Your business blogging is about how fantastic your goods are at solving other people’s problem. Hence, the need for your company to set up a business website with a blog, not just a website.